As has been known and reported, Russia did meddle in the 2017 U.S. elections. Is Trump now trying to solicit Romanian support for his 2020 elections? Mr. Trump does not reflect my Christian values. He has instigated the murders of Jews, African-Americans, gays and others with his racist, anti-semitic, homophobic remarks. Most recently, the white fascist from Australia, who gunned down innocent Muslim worshipers in New Zealand, praised Donald Trump as a supporter of white nationalism and anti-Islamic sentiments! During Trump’s campaign in 2017, he wantonly made misogynous statements, and blatantly flaunted his perverted sexual exploits. Have we forgotten Stormy Daniels and the payments he made to shut her up? 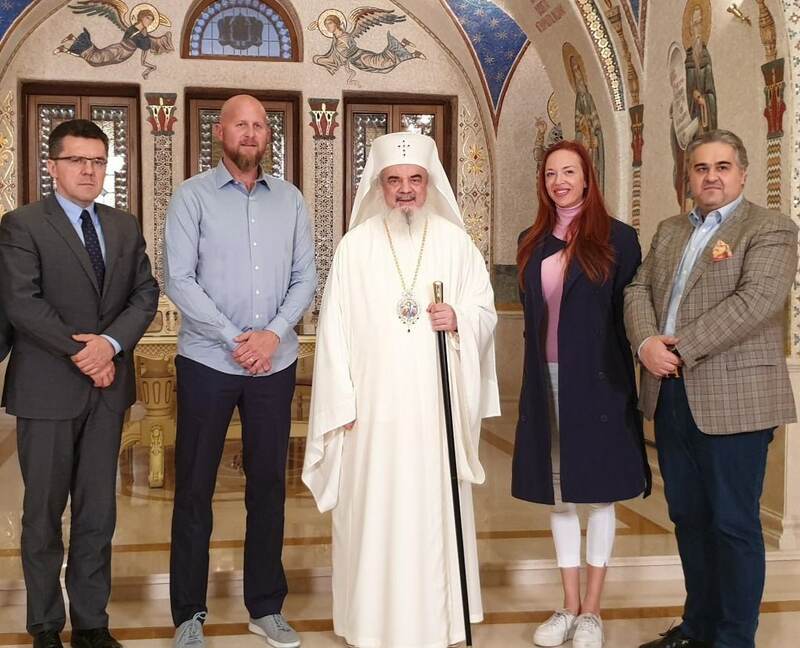 If the Romanian Orthodox Church is preparing to nefariously support the re-election of Donald Trump in 2020, I will consider it apostate and non-canonical and may the Lord have mercy on its followers. Wise comments, Peter. We have an Idiot-in-Chief in office right now who has no qualms about poking fun at handicapped people, as well as betraying his wife, lying, mocking the free press when it justly criticizes him, and making lives unbearable for so many people. Let’s see what the full Mueller report says, as he was not “exonerated” for obstruction of justice, as he falsely claims to his base. Now that he has Putin in his pocket, he seeks out Romanian counterparts. President Trump has been fully exonerated for obstruction of justice charges. The Mueller Report was a hoax, and a complete waste of time and money. I was reading on Real Clear Politics, there will be a red tsunami in 2020 with the Republicans winning the House back, increasing their majority in the Senate, and President winning re- election in a landscape. Barr left a “gray” area open for his involvement, which he could not decide on. After multiple indictments and jailed administration staff, it was far from a waste of time and money. It helped drain the swamp real well and focused attention on Putin’s meddling in our elections. We will know more when the full (yet redacted) report comes out this week. It was the 2016 U.S. Election! Trump has been money laundering for the Russian Mob (Kremlin) for the last 30+ years. He and his family are a criminal enterprise. Regarding Trump’s association with Romania; their strategic access to the Black Sea becomes very important to keep Russia, Turkey, etc. in check. https://www.rferl.org/a/us-warship-romania-black-sea/29696810.html A strong U.S. Naval presence is being negotiated. And that is probably one of the reasons he wants his taxes hidden from public view. Heard an interesting comment yesterday: If he does not get reelected in 2020, his first day as a private citizen will be met with an indictment and possible jail time, as he will be charged with the same crimes as his fixer Michael Cohen. The Idiot-in-Chief’s entire family is involved, probably, in the misdemeanors and crime.